“It is dangerous to be right in matters where men in authority are wrong,” Voltaire. I received three lawsuits all from the same lawyer and all from members of the UN Intergovernmental Panel on Climate Change (IPCC). I had options, but none of them would prevent the aggravation, cost, and time necessary to defend myself. I could ignore the lawsuits, in which case they win by default and the court would arrest me, take everything I own and find me an unspecified amount. I could withdraw the articles I wrote and let them achieve their objective of silencing me. I could choose to fight at great expense. Here is what happened to me so far at a cost of $600,000 with at least that much more to bring it to a close. It is more than a precautionary tale, it is central to how the authorities and rich and powerful people use a system designed to protect citizens, to silence and control them. Some will say that justice was served because the second lawsuit was dismissed by the judge and therefore I am an ingrate for telling you what happened. While I savor the victory, people need to know what it cost and what it will cost because the verdict is under appeal. They also need to know I am now dealing with the third lawsuit filed by Vancouver lawyer Roger McConchie. In each case, he also filed lawsuits against the agency that published what I wrote or said. This double-barreled lawsuit approach created enormous complications in mounting any defense. It also caused divide as probably intended. Of course, the lawsuits against me have their chilling effect as many scientists have told me. Apart from anything else it sends a chill through the publishing community, who rarely can afford insurance or the cost of defending themselves. It amounts to a gag order, especially against them working controversial ideas and people. You will notice that I have labelled this article a “Guest Opinion” in order to absolve publishers of The Landowner of any legal liability for its content. My wife and I decided we could not afford to defend the McBean case and so I and the publisher withdrew the article. In retrospect, this achieved the objective of the lawsuit that many call S.L.A.P.P., (Strategic Lawsuits Against Public Participation). The goal is to silence people. These lawsuits are becoming so worrying to some politicians and lawyers, not necessarily because they care about justice, but because they might receive them. As a result, several jurisdictions have passed anti-SLAPP legislation. All the lawsuits were filed in the Supreme Court of British Columbia. BC had anti-SLAPP legislation but for some unknown reason, it was withdrawn by the newly elected Liberals in 2001. The anti-SLAPP legislation is spreading as politicians and lawyers realize the dangers of using the law designed to protect people by silencing them. Eight of the other ten Canadian Provinces have anti-SLAPP legislation but be aware that there is none in Ontario. Now the new NDP government in BC is planning to reintroduce anti-SLAPP legislation. I suppose that withdrawal of the McBean article wasn’t enough for them, likely because I continued to publish critiques and explanations of the pseudoscience that is produced by the IPCC to legitimize their Reports. The second lawsuit was filed on behalf of Andrew Weaver. At the time he was a professor of computer modelling at the University of Victoria and author on four of the IPCC Science Reports (1995, 2001, 2007, 2013). He has a wall in his University office labelled the “wall of hate.” He was proud to show it when running for political office as reported by the CBC. It is designed to show what he has to experience for his political positions. After filing the lawsuit, he was elected to the BC Legislative Assembly as a member of the Green Party. He was a prime player in the introduction of the BC carbon tax serving on the BC Climate Action Committee. He was subsequently re-elected as the leader of the BC Green Party and continues to sit in the Legislature. He leads a party of three who, after the last election, hold the balance of power. It will be interesting to see how his Party votes on the anti-SLAPP legislation. This is important because one of the most important tests in science is the ability to reproduce the results claimed by another scientist. After the presentation, I was interviewed by the Frontier Centre for Public Policy (FCPP) who published my flippant comment about the juxtaposition of Mann’s present location at Penn State. Within 24 hours I received the third lawsuit. After six years it was scheduled for trial on February 20, 2017, until a month before when Mann sought an adjournment. I opposed it, but my lawyer said the courts always grant one before a trial in the hope of an out-of-court settlement. It was incorrectly reported that Mann was in contempt of court for failing to produce documents as agreed by the original court date. He did not produce the documents, but he is only in contempt of the court when they so rule. We are now trying to get the case back into court for that ruling. That is part of what we will pursue now the Weaver trial is finished. How quickly that will proceed is hard to know because Weaver has filed an appeal. The Weaver defamation case involved an article I wrote saying that the IPCC had diverted almost all climate research funding and scientific investigation to anthropogenic global warming (AGW). 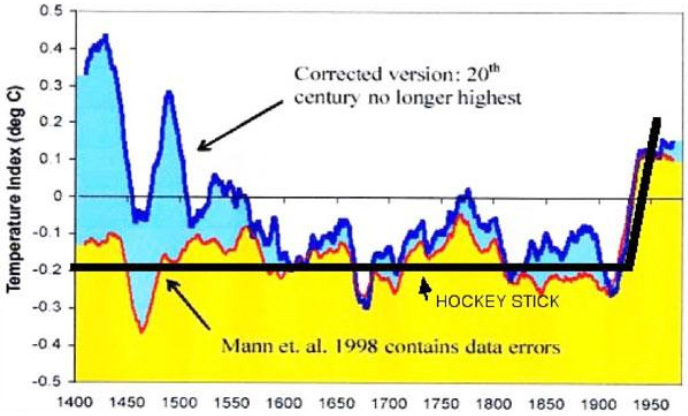 This meant that there was virtually no advance in the wider understanding of climate and climate change. I referenced an interview with Weaver and attempts by a student to arrange a debate. I made comments that were not fully substantiated, so they became the base of the defamation lawsuit. Meanwhile, Weaver’s lawyer arranged with the publisher of Canada Free Press (CFP) to print an apology he had written for them. I knew nothing about this until after it was printed. As a result, I withdrew all my articles on file with CFP. I contacted a lawyer, Michael Scherr of Pearlman Lindholm to defend myself against the case. He wrote a letter for me withdrawing and apologizing for the unsubstantiated comment, but not the main thrust of the article. Apparently, that was insufficient for Weaver even though he posted it on his “Wall of Hate,” because he continued the lawsuit. He did not call a single witness to the trial. It lasted three weeks, and the judge allowed witness statements into the record without objection from Weaver. On Tuesday, February 13 the judgement was released with the ruling that all claims against me were dismissed. I am extremely grateful for the judgment of a complete dismissal in the lawsuit achieved by my lawyers. It is a victory for free speech and a blow against the use of the law to silence people. However, as with all events, there is so much more that rarely receives attention yet is essential to understanding and improving conditions in the future. Hopefully, with the new anti-SLAPP legislation in BC these cases will not occur, although I doubt it. We need complete unlimited, unfettered, free speech protection. You cannot have any limitations because someone has to decide what is acceptable and this is a slippery slope to abuse. As Burke said, power corrupts, and absolute power corrupts absolutely. The minute you make an exception you lose control, usually to people who want to control. Oliver Wendell Holmes of the US Supreme Court said you cannot shout fire in a crowded theatre. He is wrong. You can shout fire, but you must be held accountable for the consequences of your action. But the failure to hold people accountable for their actions is another major failure in society. Without the financial support of people from around the world, I could not defend myself, and that is completely wrong. It alone ensures there is no justice. I have to hire a lawyer because the charges are brought by a lawyer, and in McConchie’s case he wrote the book on defamation in Canada. This is also why the victory is so much more valuable. They are also big enough to afford and control the law and use it to silence any citizen, or at least bludgeon them into submission. There are also groups in society with access to the funds necessary to pervert justice.